Arnold's first love died in the Cheyenne River. He's sure he's had his one love. To guard his heart, he wants nothing to do with women. No one could ever compare to his Lynellen. He will work hard, be respectful, and never forget. 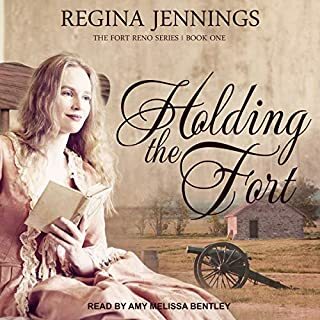 Stephenia is the new teacher in Belle Fourche when she almost meets her maker. Arnold saved her life and maybe her heart. She's avoided relationships her whole life, afraid of the pain of loss. When she finally gives up on him, he has to choose between the love he's lost and the one who found him. 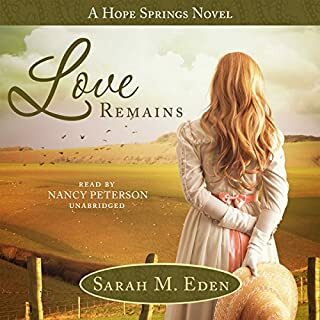 When her husband dies, she has a choice to make: Go home, and face the family who made her stay with the beast, or head to Belle Fourche to the only friend she has left. Conrad Oleson can't read, and it's shamed him for longer than he can remember. When another teacher shows up on his front step, he's sure his brother is meddling, again. But when Izzy reveals her painful past, he can't stay away. And if learning to read brings him closer to her, he'll do about anything for her including teaching her how to love. 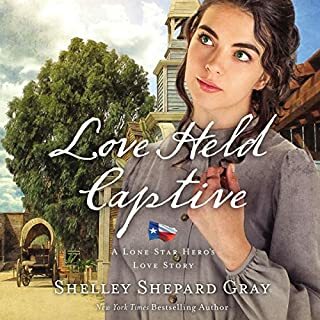 After the War Between the States, a Confederate officer longs to heal the heart of a beautiful woman - but first he'll have to right the wrongs that were done to her. Major Ethan Kelly has never been able to absolve himself of the guilt he feels for raiding a woman's home shortly before he was taken prisoner during the Civil War. He is struggling to get through each day until he once again crosses paths with Lizbeth Barclay - the very woman he is trying to forget. Eli Oleson killed a man. Never mind that he did it to save the lives of others, it’s eaten his soul to shreds. Nothing matters. When he injures himself breaking a horse, he has little reason to recover, except for the feisty English nurse who keeps pestering him. Anne Hammond is a skilled nurse, trained in curing the sick and treating the wounded, but some wounds don't heal as easily. She's seen war and heartache and left England for the American West to forget the images that haunt her. When a cowboy, broken in more ways than she can see, winds up on her examining table, will she be skilled enough to assist in his healing? Or will his wounds only open the ones she thought she'd left behind? 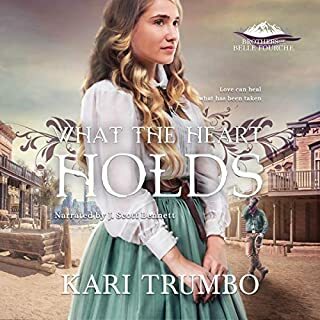 Get the third installment in the sweet Christian romance series, by best-selling author Kari Trumbo. Ann and Eli 's love story . The book has so much in it . Romance , secrets , and so much more . Letting go of the past and living for the future . 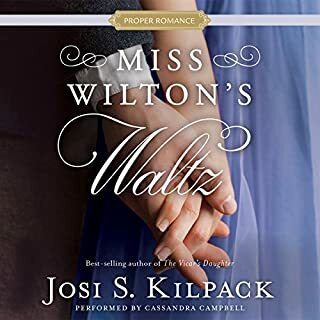 I absolutely loved the love story and also the sweet message that is intertwined in the audio book . Look beyond your past, fears , stubborn heart, and go after the one you love . 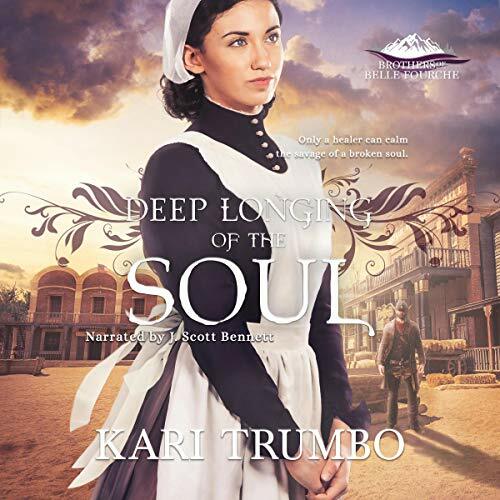 Sweet message ....God's grace can bring 'Redemption "
The combination of Kari Trumbo and J Scott Bennett is one I love. I always know I will be in for a heart warming listen. When Eli is hurt by a horse he is training, he is thinking there is nothing worth getting better for. Carrying the guilt of killing a man, though to save others is doing him in. When his nurse, Anne comes to take care of him, things begin to change. Can this nurse from England heal the cowboy both physically and emotionally? Their story is sweet, full of a little banter and gives us hope. I love Anne with her common sense attitude. She is working through her own issues, and with the help of Eli, these two broken souls, with faith, hope and love help mend each other. Kari's stories stem from real issues, and though I can escape into their world, I love taking the message with me. J Scott Bennett is perfect for the roles in the book. He has a soothing quality to his voice, giving that sense of peace as he reads. I love his surly attitude that he instills in Eli and the strong confidence in Anne. It's a great listen. Two hurting souls, wanting to do it their way find that they don't have to do it alone. A story of an injured man struggling to forgive himself and how he leans on his nurse who struggles with the same problem. Interesting story focusing on another brother in the series. Two people, both suffering in their own ways, feel unworthy. As they are brought together as nurse and patient, the are able to help each other heal. 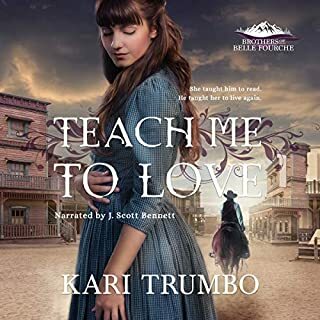 Kari Trumbo has written an uplifting story and J. Scott Bennett did a great job with the narration. This story was sweet and simple. The plot wasn't at all complicated but definitely worth the while to read. The narration by J.Scott Bennett was also good. Anne faced war and destruction in England. Coming to Belle Fourche allowed her to put her nursing skills to good use. Eli thought he wanted to die. He was a killer. When he is attacked by a wolf, his injuries forced Anne to relive her past. It takes both Anne and Eli helping each other to heal themselves. l felt like l was listening to one of the townsfolks older characters telling this story from his past. His voice sounds like l imagine a doctor from that time could sound. The story line was also true to the times and highlighted for me the caring and dedication of the nurse and wounded mens struggles. l turned the narrations speed up to 105%. for my own enjoyment. l am looking forward to more in this series of good, clean cut,wholesome books by Kari. A heartfelt emotional story about healing physically and emotionally! Kari really gets to the core as these two self created outcasts find solace and love in each other! Wonderful!! This narration took a bit to feel comfortable. I never would have expected a make narrator for this book, but he did a great job! It was a bit hard to distinguish changes in scenes without the visual aid of space and symbols. I was given an audiobook copy from the author. My reviews are voluntary and my own.